fli·er ˈflīər noun: flyer 1. a person that flies, esp. in a particular way. 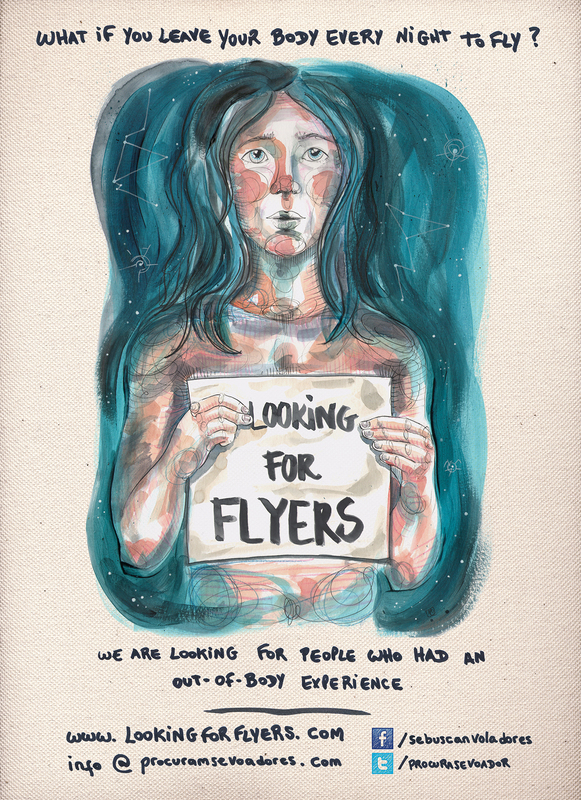 "a sleeping flyer"
Today we get to 3 weeks of campaign with great joy for reaching already 4609 euros, thanks to the collaboration of 126 people 🙂 Our happyness is too big to tell, cause in addition we had great news this week. We tell you everything here so you don’t lose any detail. Remember that when we finish week 3, we start the final stretch of the campaign: We have 1 week left to achieve a 100% of our minimum goal, otherwise all the money will be returned to the crowdfunders… and we don’t want this to happen, right? Because of all this, remember to share the campaign with your friends to encourage them to participate… and if you haven’t done it yet, contribute at http://www.ulule.com/voladores – it’s quick, easy and each amount has its rewards. After that, who sent us a video talking about the campaign was Meire J. Costa, a very special flyer that we’ll have the opportunity to interview in Brazil for the first time. Meire has a YouTube channel since 5 months ago, where she talk about Astral Projection with a close approach… and she already have more than 5000 followers! On Sunday we published the pictures and the podcast of our interview at Ciutat Vella Radio (from Barcelona), in the cinema program Ciutat Visual, with Eva Fontanals. We were there on Thursday, live, but now you can hear it on-line by clicking HERE 😉 If you want to jump straight to the interview, we start at minute 11. And for now, that’s all. Remember, we have 9 days left! So please, share this campaign with your friends, invite them to know our project, take a look to the rewards and collaborate here if you haven’t yet (or well, you can do it more than once, actually! hehe). Be part of this group of people willing to make a good documentary, bringing knowledge and awaking consciousness. Thank you!